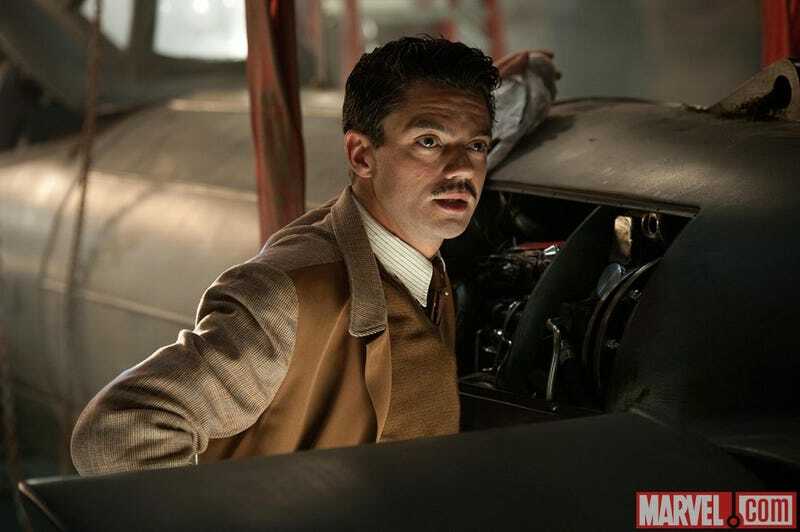 When Agent Carter comes to TV, she'll have at least one familiar ally on her side; Marvel has confirmed Dominic Cooper, who played Tony Stark's father Howard in the first Captain America movie, will be a member of the show's full-time cast. But that's not all! Starring Hayley Atwell as Agent Peggy Carter, Chad Michael Murray as SSR Agent Jack Thompson, Enver Gjokaj as SSR Agent Daniel Sousa, James D'Arcy as Edwin Jarvis, and Shea Whigham as SSR Chief Roger Dooley, "Marvel's Agent Carter" was written by Christopher Markus and Stephen McFeely. I knew the show would introduce Jarvis, the comics Avengers' beloved butler, and had added Boardwalk Empire and True Detective's amazing Shea Whigham, but I didn't know Enver Gjokaj was a member of the cast! You may remember him as Victor in Joss Whedon's Dollhouse, where he was one of the show's highlights. He's bounced around a lot of shows since then, but hopefully this gig will give him the exposure he deserves. Also: Chad Michael Murray? Like... from One Tree Hill? Weird. You know what, Agent Carter? You just announce Neal McDonough as Howling Commando Dum Dum Dugan as an official cast member, and we're going to be all set.